When Will They Ever Learn? Some thoughts on the Rob Bell conversation. I’ve been hesitant to offer comment on the ever swirling conversation surrounding Rob Bell’s latest offering, “Love Wins,” for there are more than enough words being thrown around from both sides of the debate. For my money, Tony Jone’s analysis of Bell was the among my favorites. Yet, in thinking about the whole thing this morning in light of the now infamous Martin Bashir interview on MSNBC, I find myself wondering about 1) the vehemence of attacks on Bell’s work at this time; and 2) the continuing inability of those in the church who fail to recognize that their hysteria only serves to promote that which they oppose rather than make it go away. The fact is that Bell (as he readily admits) doesn’t break any new ground theologically. There have been any number of works around for many years which make the same theological arguments, and go even further in suggesting a loving God whose ultimate plan is to redeem all. The fact that Bell can be called a “universalist” only arises from the fact that there have been others who have gone before who posited a system of belief that has come to be known as universalism. What Bell does (and I admit I’ve only read one chapter so far) is to package this in a new and hip package, using his skill as an artist with words to make these teachings more accessible. So why is it that Bell seems to be getting the wrath of the evangelical elite when so many others have been pretty much ignored in the past. Part of it is, of course, due to Bell. Rob Bell is a “success” in the world of American Christianity. He pastors a large and growing church – something that sets him apart from the academics who have written on these topics in the past, and his books and videos have been very popular among both young and old of the church alike. Whereas one could ignore the promotion of such teachings as marginal to the mainstream of Christianity in the past, Bell’s rising influence moves things to a different level – and his disdain for most of the trappings of traditional American Christianity puts him at odds with the traditionalists whose power base is found in their use and misuse of those traditions. Bell threatens to topple the theological house of cards that supports the power dynamics of authority and control that are exercised (with utmost sincerity) by many of my colleagues. What surprises me more, however, is the failure to recognize that the public outcry does nothing more than create a larger market for Bell’s work that moves beyond his normal readership. There is no doubt that Bell has a large constituency, but there is a limit to the hip, young audience that is attracted to his works. And had the conserving end of the spectrum stayed quiet and not bitten when Harper dangled the bait, those folks would have bought his book, enjoyed the read, and everything would have pretty much gone away. However, in jumping quickly on the attack in a public fashion, all these attackers did was to create a media frenzy that ensured that Bell’s book and thought would be presented to a much larger audience than before. People (including myself) who probably wouldn’t have bought the book will now pick it up if for no other reason that to see what all the fuss is about. And the supposed heretical views will reach a bigger audience than if the attackers had simply kept their mouths shut. Can we never learn from our history? 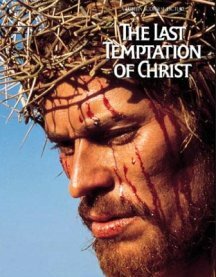 Haven’t we learned that the attacks on Scorsese’s “The Last Temptation of Christ” only served to make a mediocre movie into a hit? Didn’t we see (from the liberal side) that raising public concerns about “The Passion of the Christ” would only ensure that more people would see it? Frankly, I am happy that Bell’s book is getting the press, for as an Arminian/Wesleyan I can never find enough opportunities to help our world recognize that the one created us deeply loves us and desires the redemption of all the world. But I continue to be amazed at his opponents who fail to recognize that all they are doing is increasing Bell’s reputation, not diminishing it. Previous Post St. Rachel, who was killed on this day in 2003 by being crushed by a bulldozer in Gaza and she attempted to keep a home from being illegally destroyed. how ca i get the book- Love wins?